An Istanbul court on Friday released seven daily Cumhuriyet journalists, executives, while ruling for the continuation of arrest for another five. The released journalists and executives were Musa Kart, Bülent Utku, Turan Günay, Önder Çelik, Kemal Güngör, Hakan Kara and Güray Öz. 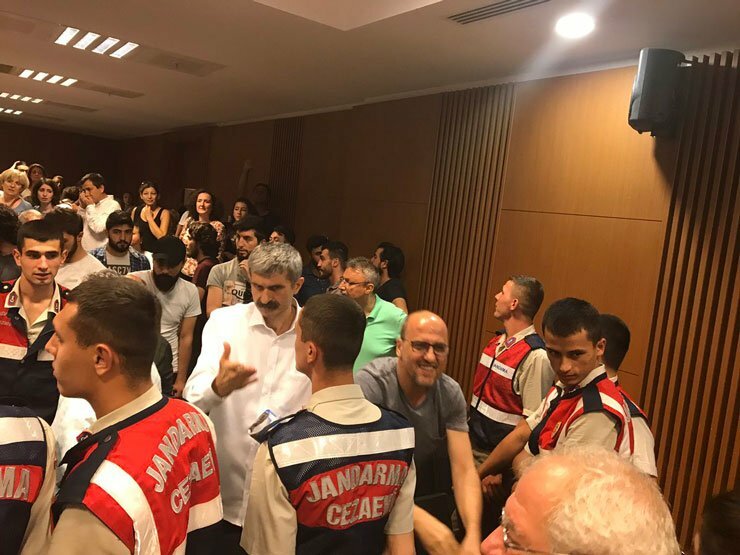 But the court rejected the release demand of journalists Ahmet Şık, Kadri Gürsel, Murat Sabuncu, Kemal Aydoğdu and board member Akın Atalay. 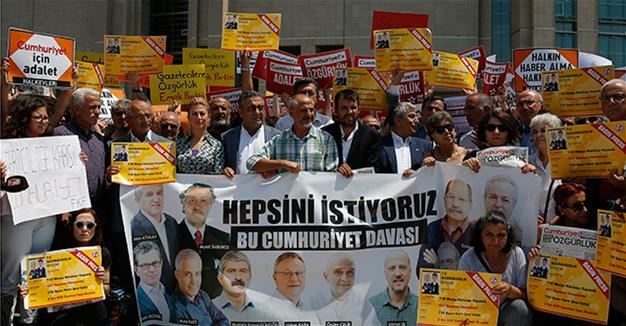 The charges brought against a total 17 Cumhuriyet employees in an April indictment accuse them of aiding the PKK, the DHKP/C and the Gülen movement which is accused by Turkish authorities of being behind a failed coup last year.